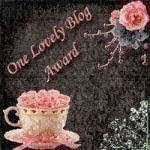 I was tagged by Sarah to do a One Lovely Blog Award tag. I tag these three beautiful ladies! 2. My Boyfriend - I've been with my gorgeous boyfriend, Colm, for almost three years and I love him to absolute pieces. 3. 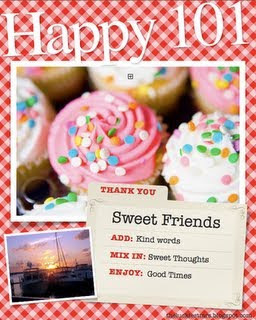 My Friends - I have possible the greatest bunch of friends in the world. They are all incredible and I can depend on every single one of them. They are always there to hep me out or make me smile. 4. My Macbook - I would probably die without my laptop. I use it every single day without fail (usually for youtube, not actual university work... but still!!) and I absolutely love it - best purchase of my life, easily. 6. Youtube/Blogger - I love watching beauty videos and reading (and writing) beauty blogs. It's easily one of my favourite hobbies... love all you ladies. 7. Shopping - I adore spending my (not so) hard-earned cash on clothes, makeup, beauty products, sweets... you name it, I'll buy it!! 9. Lush - This is a recent addition to my list of things that make me happy... but it does make me oh so happy. I love Lush and all their products. 10. Paris - I lived in Paris for almost a year (September 2008 - July 2009) and studied in a Grand Ecole de Commerce (through French). I cannot wait to go back after I've finished my studies in May 2010.